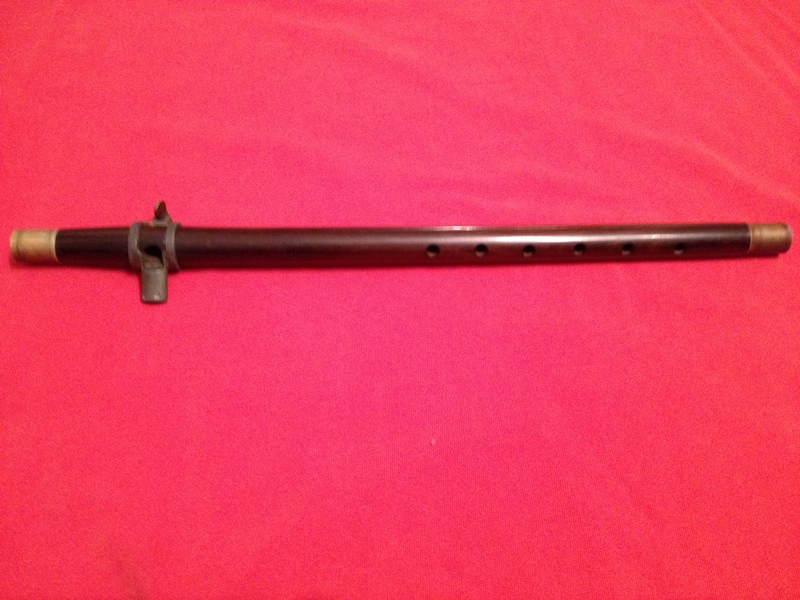 This Rosewood Fife came out of a collection close to the Gettysburg area. It does not have a makers name on it, but it does have the original pewter mouth piece on it, which makes it easier to play while marching. This mouth piece has teeth marks imbedded in it. Wish I knew more history on this piece.